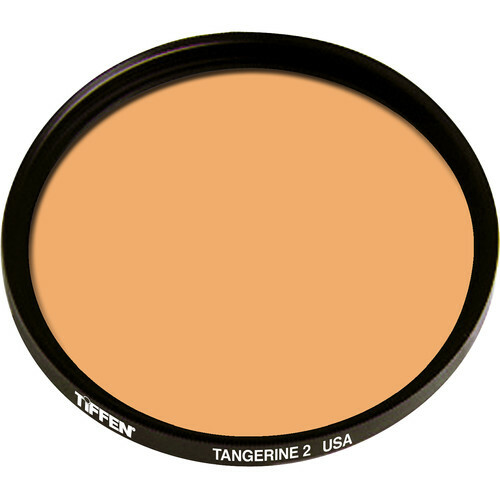 The Tiffen 95Cmm Coarse Threaded Tangerine #2 Filter is a solid, tangerine-colored filter giving you overall warmth to your images. This orange hue provides a clementine glow to subjects and helps to subdue overly bluish casts to other regions of your image. The #2 density provides a moderate amount of tangerine coloration to your image. Tangerine-colored filter provides additional warmth to your images and reduces bluish casts. #2 density provides a moderate amount of tangerine coloration. 95mm filter diameter with coarse threads.